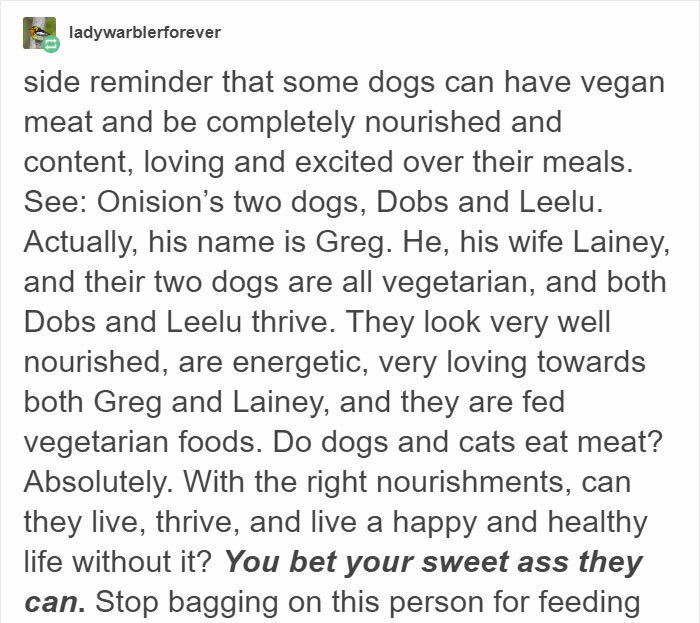 With both vegan diets and dog ownership on the rise, it’s no surprise that there is a controversial crossover between the two. 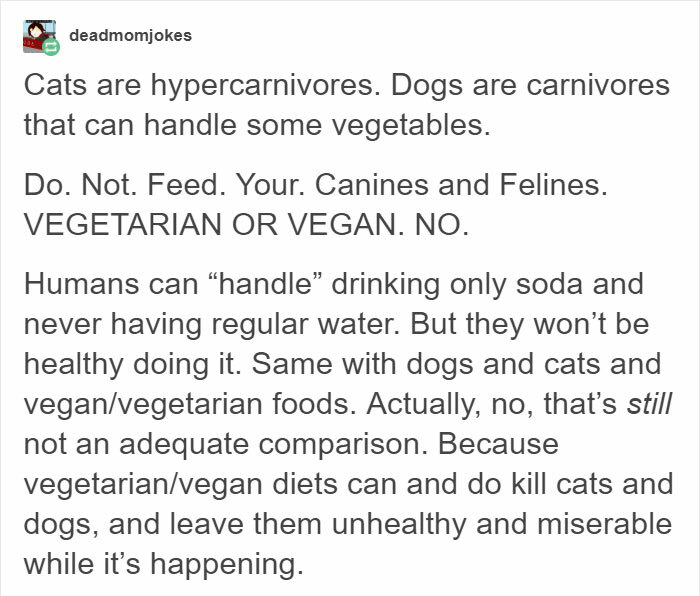 Some vegans are choosing to project their personal diet choices onto their pets with often devastating consequences, this is a choice that should not be taken lightly. 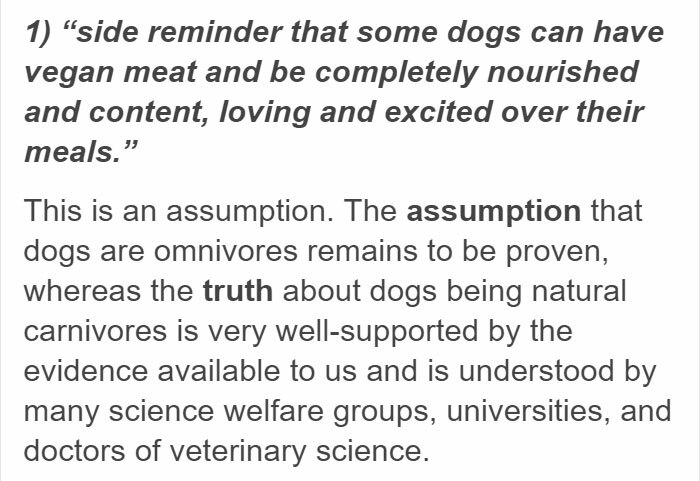 While dogs can theoretically survive on a vegan diet, the risks are high and they will need to be monitored carefully. 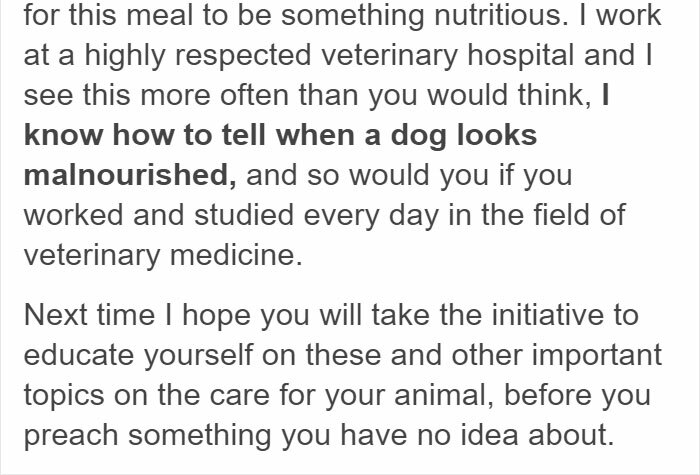 Chemically synthesized supplements used to replace naturally-occurring vitamins and amino acids can be expensive and need to be administered in the right quantities, and veterinary professionals generally advise against the practice. 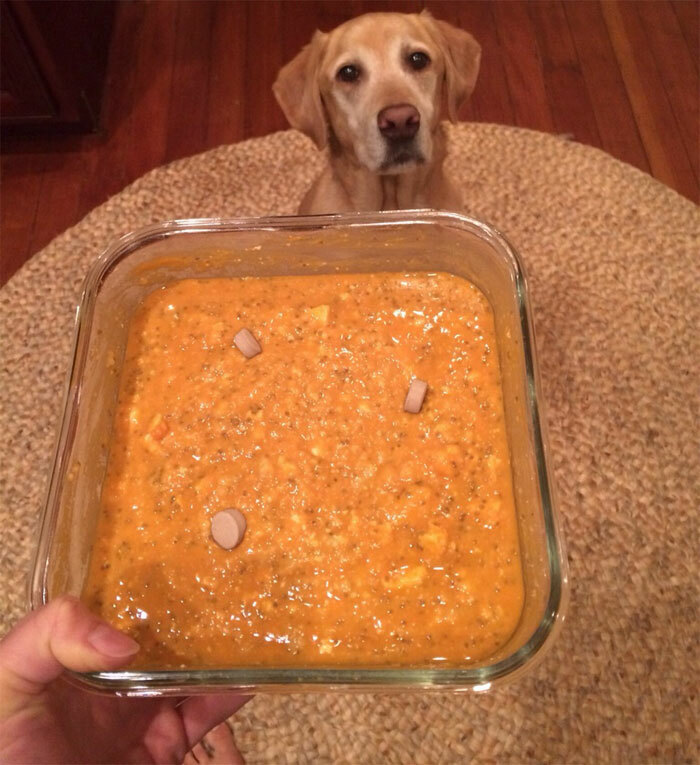 People who choose to do it anyway usually do it for their own moral benefit, at the expense of their dog’s health. 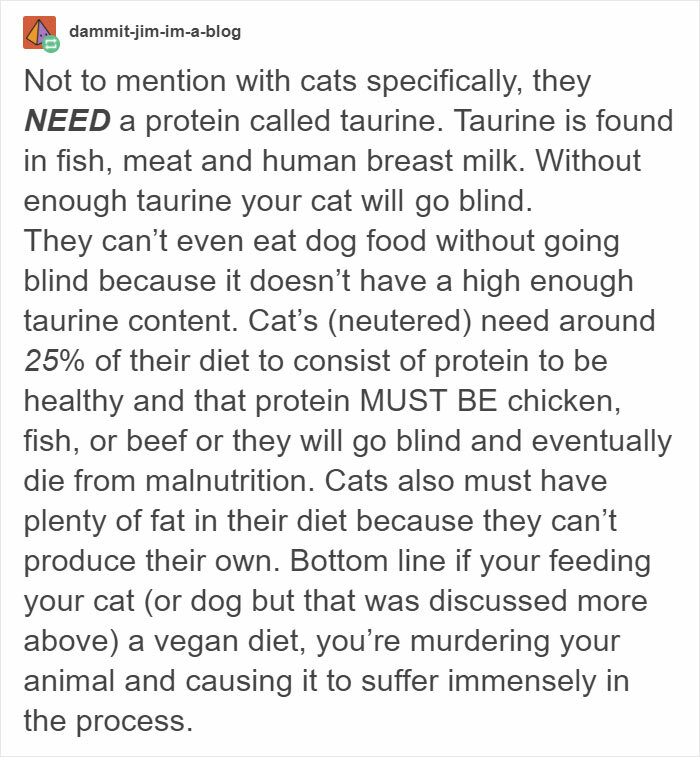 Perhaps these people could consider getting a rabbit or a goat instead? 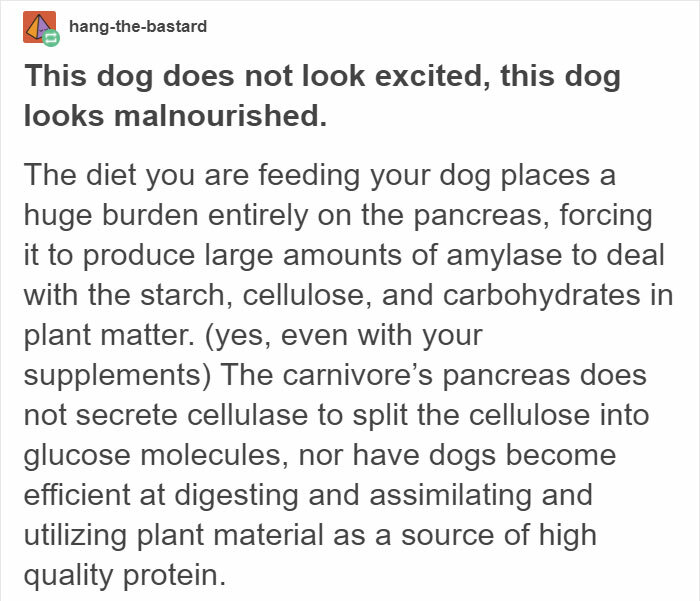 This Tumblr post highlights the painful cognitive dissonance that vegan dog owners can experience, showing a mournful, gaunt-looking lab apparently ‘excited’ about yet another overly complicated yet nutritionally deficient meal. 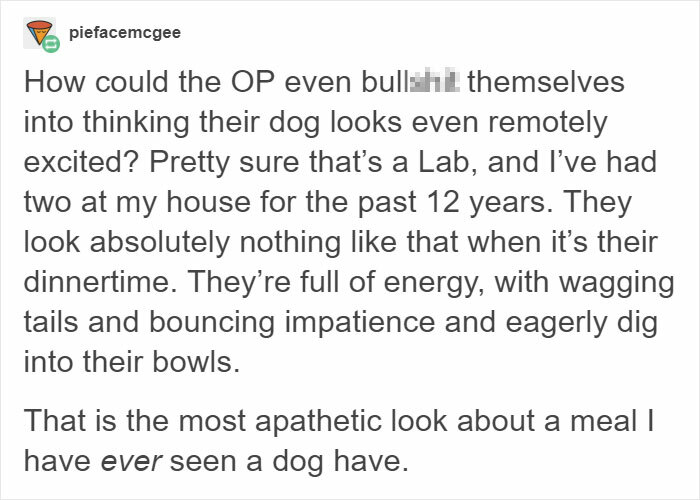 The post sparked a discussion about the merits of this kind of diet for dogs, and some of the responses are eye-opening, to say the least. Scroll down below to read them for yourself, and let us know what you think in the comments.